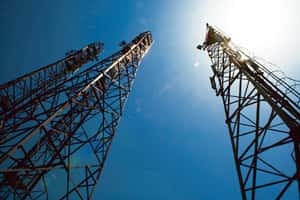 Mumbai: The country’s second largest telecom company by subscribers, Reliance Communications Ltd, or RCom, has received $150 million (Rs757 crore) from trade finance and promotion agency Export Development Canada (EDC) to buy technology and equipment from Canadian suppliers for the launch of its GSM service, said an industry executive requesting anonymity because the deal has not yet been made public. The financing is a combination of loans and lines of credit, with a longer repayment tenure. The funding is in addition to the $250 million provided by EDC to the Anil Ambani-promoted company earlier this year. The period for repayment is seven years. The debt has been given at the London inter bank offered rate, or Libor, plus 100-150 basis points. One basis point is one-hundredth of a percentage point. “Overall, the loan amount is very small for RCom’s capex (capital expenditure) requirement, but these kind of loans over time will diversify debt sources and lower credit risks," said Rajesh Zawar, sector analyst with Mumbai-based Antique Broking. The interest rate was “good" given market conditions, he added. Such loans will also leave some cash with the company that it can use to repay its foreign currency convertible bonds (FCCBs), due in fiscal 2012, said another analyst, who declined to be named because he is not authorized to speak to the media. RCom shares lost 2.19% on Tuesday to close at Rs192.05 in Mumbai trading, on a day when the bellwether index closed 1.14 % lower.